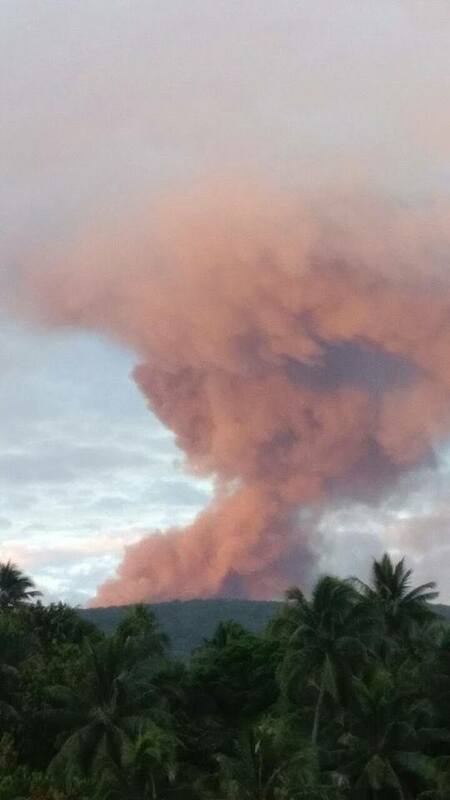 Eruptive activity of Ambae volcano in Vanuatu is now evident on satellite imagery and high thermal anomalies have been detected. 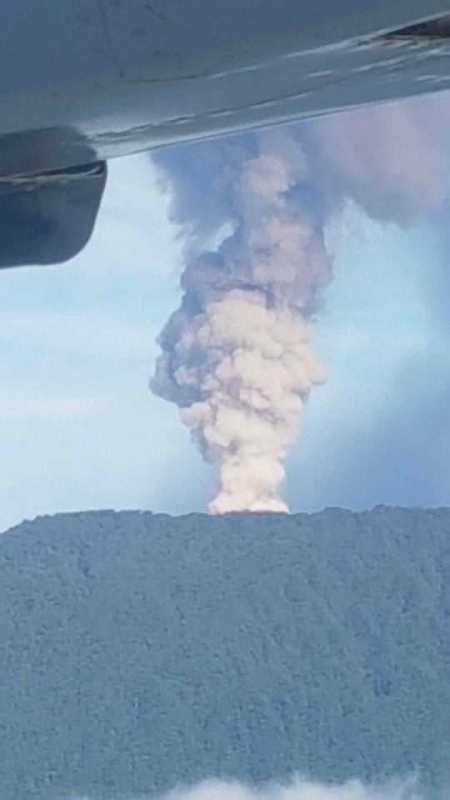 The Alert Level for Ambae volcano has been raised again to Level 4. Locals are reporting red-coloured clouds around the summit. The Geohazards Department on Saturday raised the volcanic alert from level three to four (moderate eruption state). The volcano is one of the most active in the world. 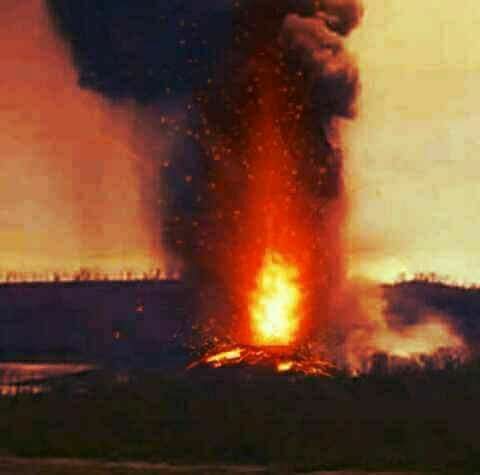 People report red colored ash for the first time around the crater of Ambae volcano. Its activity has steadily increased in the past couple of weeks. 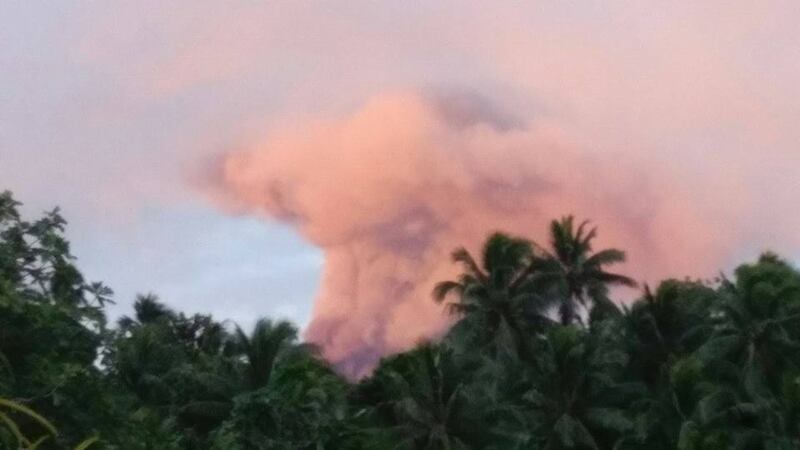 On Saturday the volcano covered much of the 400sqkm island with ash. Ash covers almost the entire island. The state of the eruption is only moderate, but is likely to be increased in the next hours or days. 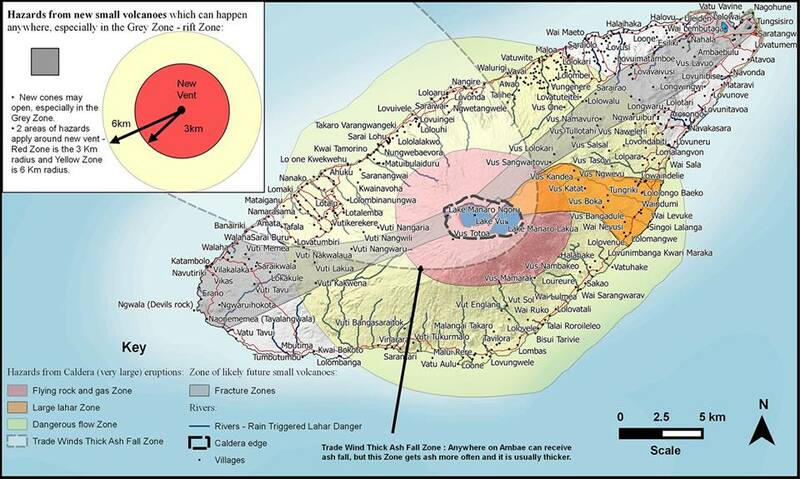 Risk map of the Ambae volcano. 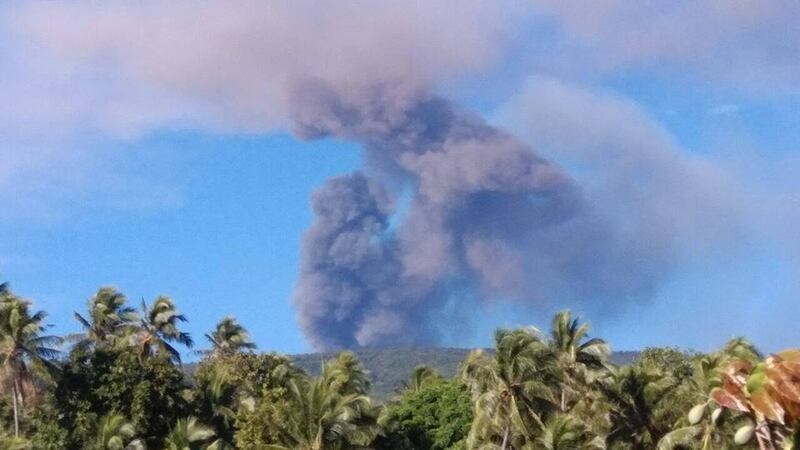 This is why the Vanuatu National Disaster Management Office is preparing the evacuation of half of the island’s 10,000 residents away from the south and north of the island, and relocating them to the eastern and western parts. 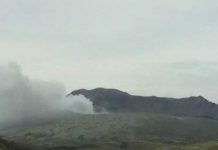 The volcanic eruption of the Ambae volcano is steadily increasing and could lead to the strongest eruption in recent years. 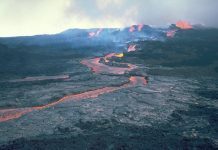 The last significant eruption on Ambae was in 2005, during which 5,000 people were evacuated and could only return to their homes three months later. 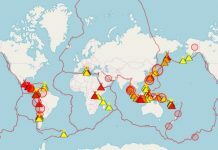 This is second time in 2 days that mass evacuations occur around a volcano in the ring of fire, which had 4 earthquakes larger than 6 in magnitude hitting within 24 hours. Two days ago, 11,000 people living around the slopes of the Agung volcano were evacuated amid fears of first massive eruption in 50 years. Vanuatu is a thousand miles east of Australia.